When most think of sharks, the music that comes to mind goes a little like... "duuuuuuh dun, duuuuuh dun, duh-dun, duh-dun, duh-dun, duh-dun, duh-dun, duh-dun, duh-dun, duh-dun, DO-do-DOOOOOO". The ocean is a noisy place. In fact, sound is one of the most effective means of communication underwater. Sounds are used by animals to help them anticipate and engage in important events such as finding food, avoiding predators, aggregating for breeding and for migration. Animals' abilities to differentiate between and learn from sounds is therefore key to their survival. 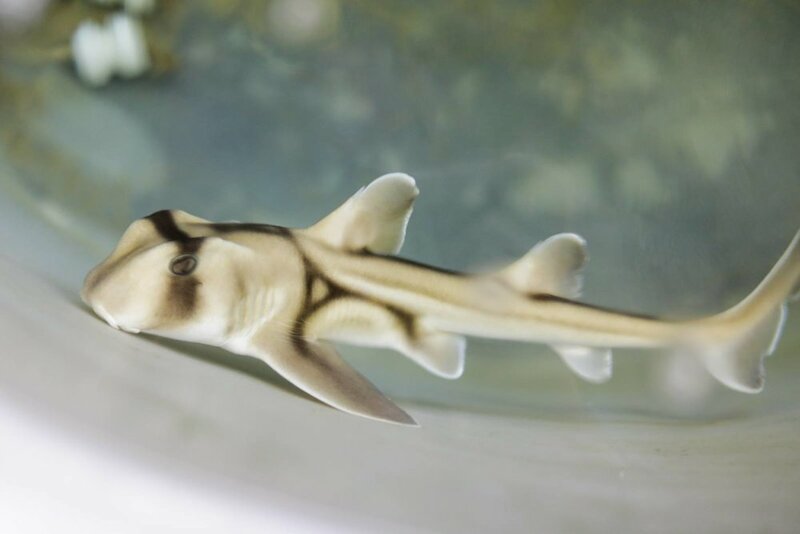 A recent study out of my very own research lab *cue bragging rights*, The Fish Lab MQ, by Catarina Vila Pouca and Associate Professor Culum Brown has shown that juvenile Port Jackson sharks can not only learn to associate jazz music with a food reward but are able to do so relatively quickly. It may not seem like much, but that's kind of incredible for a small cammo-coloured fish about half the length of your arm. 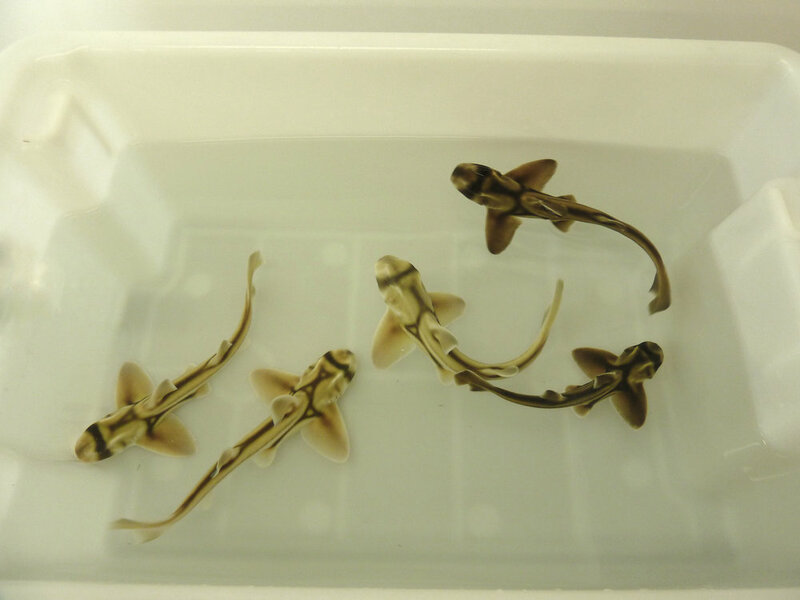 The study wasn't, however, designed to identify what music Port Jackson sharks prefer, but rather to investigate whether the juvenile sharks had the ability to learn an association between a novel sound cue (jazz) with a food reward and whether they could use this experience to differentiate between a different musical stimuli (classical) in a subsequent experiment. The idea was that when the sharks were played a jazz song, Oscar Peterson's Bossa Beguine to be specific, they would swim to a corner of the tank where a tasty chunk of squid or fish was waiting for them. If they were able to do this they then graduated to the discrimination task. While these little babies could figure out that the funky beats of Bossa Beguine meant food, they couldn't tell the difference between this jazz hit and the classical tune, Metamorphosis One by Philip Glass in the discrimination task. Co-author, Culum Brown said, “It was obvious that the sharks knew that they had to do something when the classical music was played, but they couldn’t figure out that they had to go to a different location”. “...they (sharks) have really big brains and are obviously much smarter than we give them credit for. It's funny, I always took sharks for reggae fans.